We weren't on the wrong side. We are the wrong side. 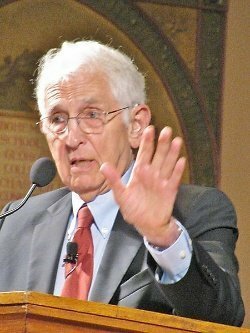 Bio: Daniel Ellsberg is an activist and former United States military analyst who, while employed by the RAND Corporation, precipitated a national political controversy in 1971 when he released the Pentagon Papers, a top-secret Pentagon study of U.S.